Behind the scenes, the team at Mountain Valley Honey (MVH) have been busy working away at something rather exciting. After 10 years, Murray and Nicky felt it was time for a fresh new look, so they enlisted the help of local design company NOKNOK to help. Together with NOKNOK, the team created a new design for their labels that reflects the quality of the honey but keeps the essence of the old label’s customers associate with. 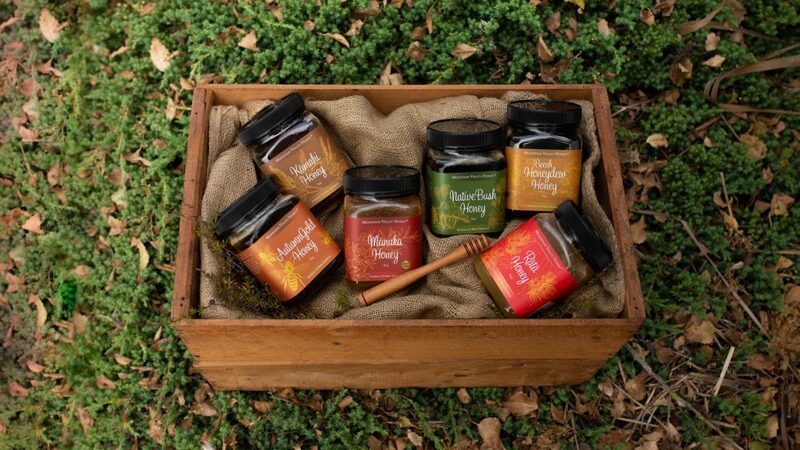 The team have kept the colours of the labels the same as the existing labels but created individual hand-drawn illustrations for each variety of honey. However, customers can be assured that inside the jars is still the same high quality, natural honey – just in a unique new label! MVH also enlisted the help of NOKNOK to put together our brand-new website! The team at MVH would like to say a massive thank you to Nichola and Nopera at NOKNOK, who did an amazing job of turning our vision into reality.